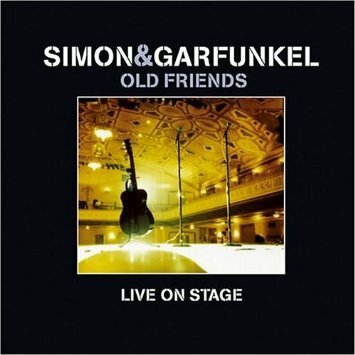 Music: Simon & Garfunkel -- Underappreciated? You Bet! In the new Reese Witherspoon film Wild, the movie begins with a striking instrumental passage. 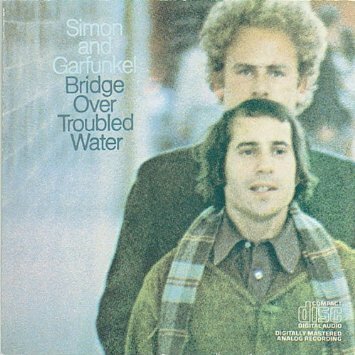 It's from "El Condor Pasa (If I Could)", the Simon & Garfunkel track from their massive selling classic album Bridge Over Troubled Water. But the filmmakers don't just play the song to create a mood. In fact, they take that shimmering introduction in the song with its haunting strings and plucked string instrument and they loop it and extend it again and again, creating an even more intense mood of dislocation and discovery. You feel certain that something momentous or beautiful is just around the corner. They refer to the song again and again in this way and don't play the track as a whole until the closing credits. This allows the appearance of the song as a whole to imply the film's heroine has also been made whole after her journey on foot. Indeed, the film's soundtrack may be its most inventive element, since preexisting songs are almost always heard in snippets or far away or mutated in some way, creating an interesting soundscape. 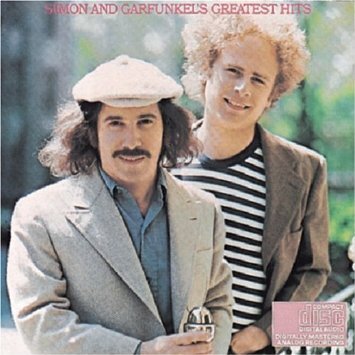 [Of course, "El Condor Pasa (If I Could)" was an equally inventive track for Simon & Garfunkel, who used a preexisting instrumental track by Los Incas as the basis for their adaptation of what they believed to be an ancient folk tune.] Another Simon & Garfunkel song is heard in a way when Witherspoon as Cheryl sings out her own new lyrics to the tune "America." 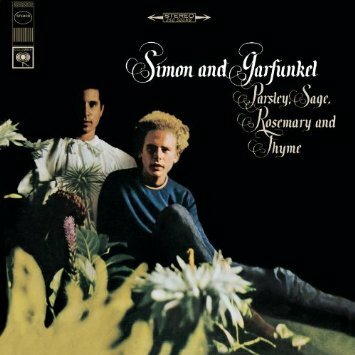 Fifty years after they debut, Simon & Garfunkel's music still instantly evokes both an era and the timeless desire to seek out meaning in life. They rose to superstardom when Mike Nichols worked with the duo to use their music in a similarly ground-breaking way on the film The Graduate, another era-defining work. 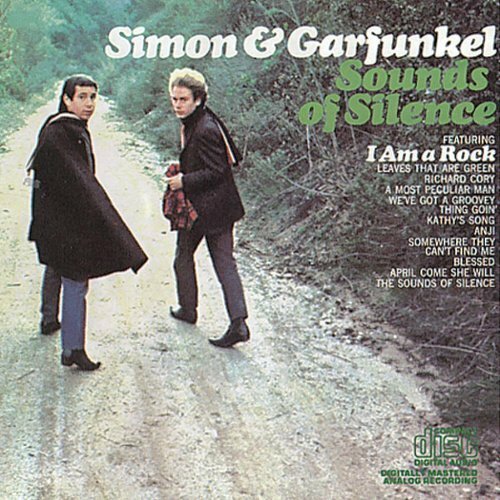 Indeed, Simon & Garfunkel are as big as ever. They're members of the Rock & Roll Hall Of Fame, multiple Grammy winners and still a huge draw in concert both solo and together. If and when they announce new concert dates, those dates will sell out. 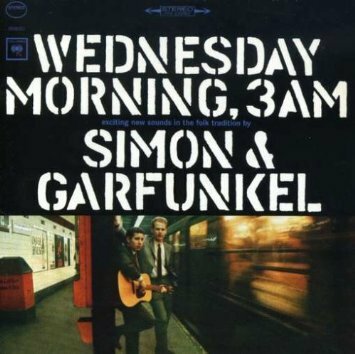 Yet their image remains that of folkies in a way: two guys and a guitar, two gorgeous voices intertwined on timeless melodies written by Paul Simon. This aura of directness and simplicity has overshadowed several facts. 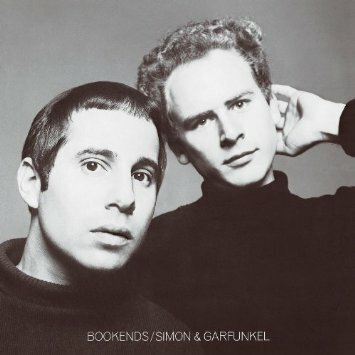 Simon & Garfunkel were every bit as world-shaking culturally as the Beatles and the Rolling Stones. Paul Simon's skills as a guitarist go almost unmentioned compared to his songwriting. And most of all, their tremendous innovations on arrangements and production were as groundbreaking as anyone. You remember the songs, but when you listen again to their landmark albums, you'll hear remarkably inventive work by Simon, Garfunkel and their engineer and producing partner Roy Halee that is just as jaw-dropping as anything by the Beach Boys or the lads from Liverpool. 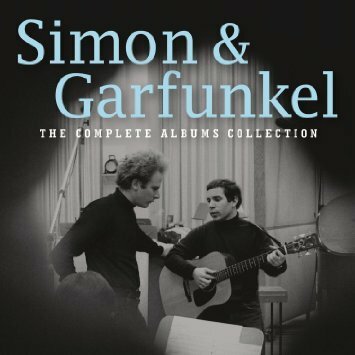 With the release of Simon & Garfunkel: The Complete Albums Collection ($99.99 CD; Sony Legacy), fans of this duo have a chance to hear their music like never before. For the first time in decades (and in many cases since the albums originally came out), you can listen to them remastered from as close to the original tapes as possible. Many LPs and certainly CDs were based on different mixes or master tapes that were worn down by constant use. Just as The Beatles Mono Box blew your mind with the level of detail even casual fans could hear for the first time (not to mention arrangements and mixes that simply hadn't been used since the original releases), these albums are sonically gorgeous and as true as possible to the artists' vision. The boxed set contains 11 albums in their own mini-sleeves, including all five studio albums, four live albums, the soundtrack to The Graduate and their brilliant first Greatest Hits set. Each reproduces the original artwork and sounds remarkably good. (No surprise for the live albums released for the first time in the last few years, but a revelation for most of the rest.) 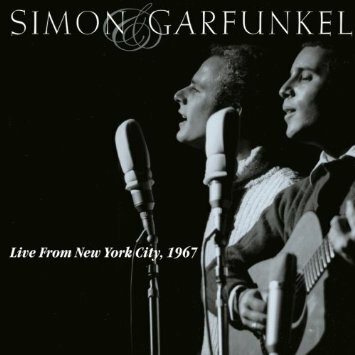 What immediately strikes you looking at this collection is how massive an impact Simon & Garfunkel had with such little music. Their five studio albums aren't even very long. It amounts to less than three hours of music and just 58 tracks, including covers and some oddities like "Voices Of Old People." They've released almost as many live albums as studio albums. Add in their numerous compilations and boxed sets and those vastly outnumber the five studio albums. But no wonder: the songwriting brilliance began almost from the start and their three final albums pushed forward what was possible in recording like few other acts then or now. For Grammy winning producer Roy Halee, his association with this act and their various solo projects has been life-changing. His first session in a studio was on Bob Dylan's recording of "Like A Rolling Stone." He worked with Blood Sweat & Tears and got Journey their record deal. Halee was in a broom closet at the Bonsoir nightclub recording Barbra Streisand in one of her earliest demonstrations to a record label about what she could do in performance. And yet, Simon & Garfunkel is his legacy. "I will never forget that audition and initially hearing the sound of those two voices," says the 80 year old producer from his home in Boulder, Colorado. "It was classical but it was pop. It was hooky, it was catchy, it was beautiful. It just floored me." 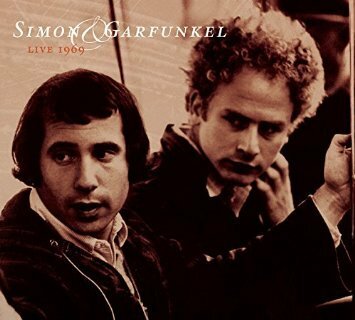 For reissue producer Steve Berkowitz (a well-known talent in the industry who Halee knows and respects and most importantly of all trusts), tackling Simon & Garfunkel was both daunting and exciting. He happily details just a few of the many reasons their work is so powerful. "Paul's guitar playing is fantastic and recorded so well," says Berkowitz, beginning his list. "Their voices together. The newness of what they did compared to their mentors, whether it be the Everly Brothers or before the Everly Brothers the Louvin Brothers, where some of the harmonies came from. Artie's just incredibly beautiful angelic phrasing and ability, the way he'll turn a phrase at the end. It's magnificent and beautiful. "And they were blessed with having this partner they trusted and liked in Roy, who was so unique in what he developed. I'm here to say, from the second record on, he was developing ideas and sounds and reverb and techniques and juxtapositions of things loud and small unlike anybody except maybe the Beatles." Ironically, the more successful an act (or more popular a movie), the more fragile becomes the source material. You'd think a hit film by Alfred Hitchcock would be treasured but the value in an original print of say Rear Window lies in how many copies they can make to show in theaters. The same is true for master tapes of albums. Columbia famously stored every scrap of audio worth saving in the Iron Mountain, a vault in the Catskills. "When I was there, every tape, every lacquer, every master went into that vault," says Halee. "When a tape was finished in the studio, when it was mastered, that immediately went into the vault." But that didn't mean the masters of popular albums weren't voraciously used again and again. As Halee put it, nobody was thinking about history; they were just putting out hit records. So with an act like Simon & Garfunkel, the task is even more daunting. "They were so successful and the tapes were put out so many times over the years, the tapes got worn down and worn out," says Berkowitz. "Quite frankly, what has been left behind are third generation, LP Dolby copies. So we had a dilemma. How do we put these out in a top quality way with subpar masters?" The solution was to go hunting. 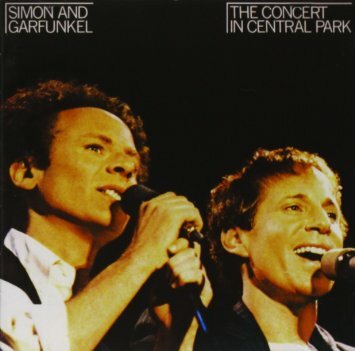 "We set out to find original Simon & Garfunkel masters and I'm happy to say we were successful," says Berkowitz. "When these records originally get made, there is a final mix and a final master. When that final quarter inch tape was done, let's say here in New York City, then they would make a cutting master for the plant in Connecticut and from the same tape they'd make a copy for Terra Haute, Indiana where there's a plant and they'd make a copy for the plant in Santa Monica. They'd make one for the UK and France and Israel and Australia and Japan. Those would all be called the 'dash one tapes,' the first copy of the original master. Well, I'm happy to say between England and France and Japan we were able to locate original 'dash one' masters that had been sent there." Of course, finding them was one thing. Using them to create new sources for CD and various digital formats is quite another. Berkowitz has worked on projects for countless legendary acts like Bob Dylan (including the new Basement Tapes boxed set) and the Beatles Mono LP Box release, and many many others. He credits the work of Vic Anesini on mastering the music (Anesini has been involved in S&G projects for some 25 years) as crucial to the project's success. "He's a fantastic mastering engineer," says Berkowitz, who serves as a consultant for major labels on various reissue projects and also produces and works with new talent via his company The Music Tells You. "He knows this material as well as anyone on the planet." The process itself is quite fascinating, even to non-audiophiles. "I can tell you when we mastered these, we found and we searched all over through Sony, individual collectors and even Paul Simon's office for original 1-A pressings of each record, including the Greatest Hits. We would then play that record and copy it 24-96. We would then take the most recent remix and put it down in ProTools in parallel to it. Then we would take the individual analog master tape which we were now using and put that down again in series. "So, if you will, we now have three versions of this stacked: an original album, the most recent commercial pressing and then the flat master which made that 1-A pressing in the first place. Then we would sit there and experiment with what EQ do we need from that flat transfer to make it sound like that LP again. We would go back and "a, b, c," "a, b, c" and listen back and forth and switch back and forth for all the levels and all the nuances and matched it up very closely." Halee's respect for Berkowitz's dedication to getting it right is obvious. When we spoke, he had yet to receive a final copy of the new boxed set. "But if Steve Berkowitz says it sounds great, then it sounds great," Halee says confidently. Similarly, Berkowitz's appreciation for the innovations of Simon, Garfunkel and Halee was already high but grew even more. Especially on Parsley, Sage, Rosemary & Thyme onwards, Berkowitz was reminded anew of how great they were. "You hear a group of people exploding musically, electrically, and sonically and blowing it up into something new," he says. "I kept thinking, are they influencing the Beatles or are the Beatles influencing them? Do the Mommas & The Poppas sound like this because of this track? It's very present, very current. And in some ways, here in the 21st century people don't think about them anymore as big as the Beatles or as big as the Stones or as big as Jimi Hendrix. But they were! And the records were incredibly influential." And for Halee, the journey continues. He's excited about the new album Halee is working on. "You wouldn't believe it," says Halee, but he's working on a new album by Paul Simon. Halee is reguarly flying from Colorado to Newark and then being driven to New Haven, Connecticut. "So it's a bit of a schlep," he jokes about the commute. But it's worth it. They're recording with much of Simon's excellent touring band, with the tracks tend to be coming first and then the lyrics following this time around. Any theme? Any driving element to the project, like the South African music that inspired the Grammy winning masterpiece Graceland which Halee also worked on and considers a crowning achievement? Not really, just the building block for all of Simon's work over the decades. "Just really really good songs," says Halee. Thanks for reading. Michael Giltz is the founder and CEO of BookFilter, a book lover's best friend. It's a website that lets you browse for books online the way you do in a physical bookstore, provides comprehensive info on new releases every week in every category and offers passionate personal recommendations every step of the way. It's like a fall book preview or holiday gift guide -- but every week in every category. He's also the cohost of Showbiz Sandbox, a weekly pop culture podcast that reveals the industry take on entertainment news of the day and features top journalists and opinion makers as guests. It's available for free on iTunes. Visit Michael Giltz at his website and his daily blog. Note: Michael Giltz is provided with free digital advances and final copies of music in the hope that he'll review or write a story on them. He receives far more albums than he could ever cover.